Booklets and publications produced by Alley Kat Design are of a very high standard, both in design and finish. If your company has a large project to promote or maybe an information campaign to publicise you will need a designer to pay close attention to detail and generate a quality product to showcase your work or business. Contact Alley Kat Design for a quotation or for more information. Submit the form and we will contact you to set up order! All printed products include professional graphic design exactly to your specifications. High quality print in digital and litho. Small runs are available as well as bulk orders. We will arrange delivery to your business or any location you prefer. Alley Kat Design supplies brochures in both short runs and large quantities. As with all our printed products they include design and delivery and are available in a variety of specifications and weights. 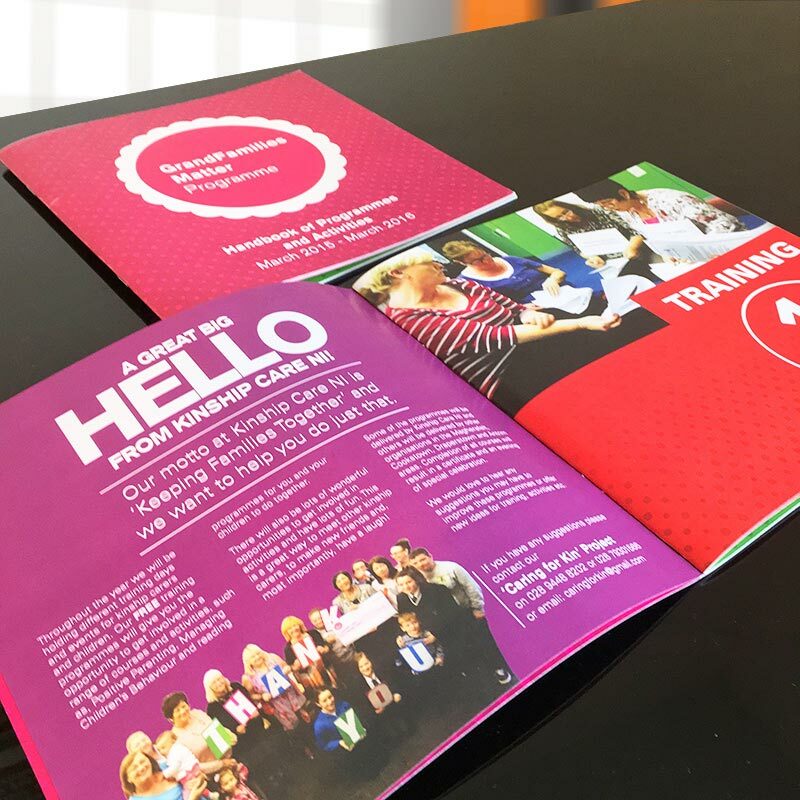 Popular brochure sizes are A4 three-fold and Four-Page A5 and are most commonly utilised as pricelists, menus or information pamphlets. All sizes and specifications are available. Contact Alley Kat for a quotation or to find out more information. Pop Up or roller banners are particularly useful for trade shows or promotional events. Overall they are a very eyecatching and professional marketing tool. Contact Alley Kat for a quotation or to find out more information. Alley Kat Design supplies business cards in both short runs and large quantities. As with all our printed products they include design and delivery and are available in a variety of specifications and weights. Contact Alley Kat for a quotation or to find out more information. Alley Kat Design supplies gift vouchers in both short runs and large quantities. As with all our printed products they include design and delivery and are available in a variety of specifications and weights. The most popular sizes include A6 and DL with perforation and sequential numbering. Contact Alley Kat for a quotation or to find out more information.